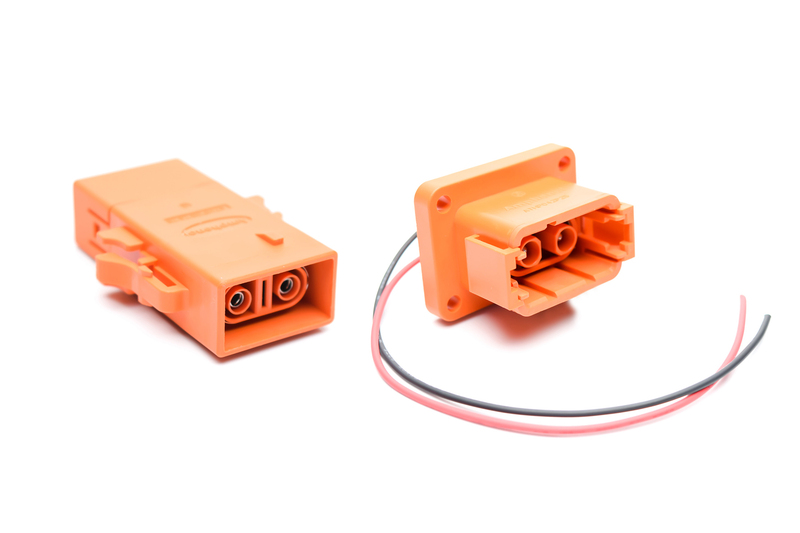 Amphenol Sine Systems’ MagnaMate™ ATHP is a plastic power connector series designed to be used in the Hybrid Electric Vehicle (HEV) market. 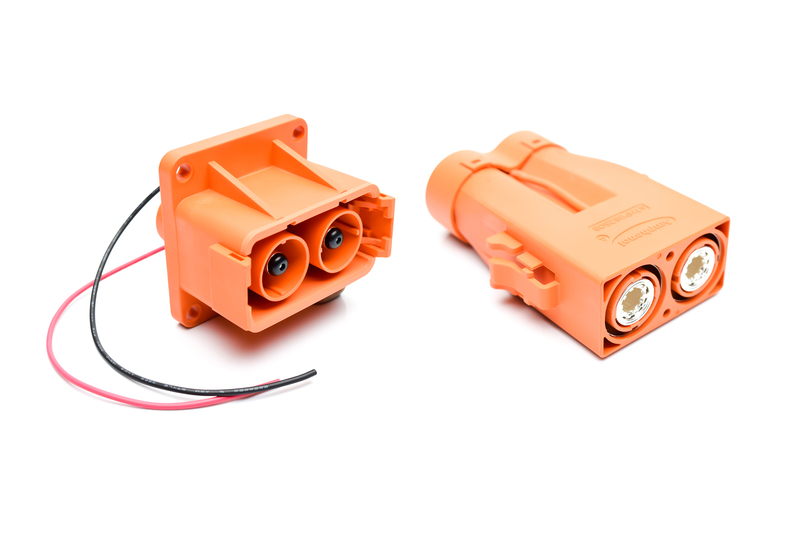 Available in two compact and robust sizes, MagnaMate™ ATHP and MagnaMate™ ATHP Mini, the robust plastic shells can withstand high temperatures up to 130°C and provide dielectric protection. 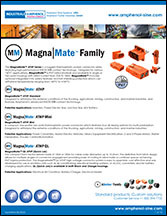 MagnaMate™ delivers 180A with patented high-amperage RADSOK® contact technology delivering lower T-rise and voltage drop. 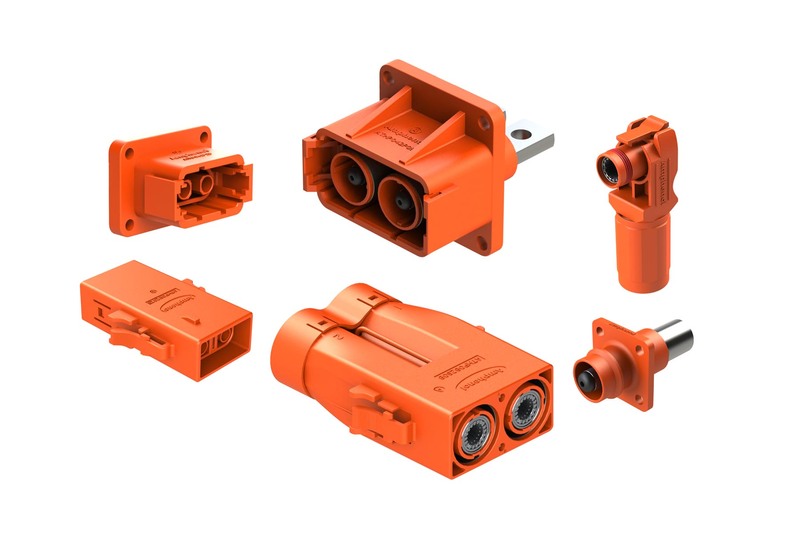 It utilizes high-tensile strength properties of a stamped and formed, high conductivity alloy grid to produce low-insertion forces, all while maintaining a large conductive surface area. 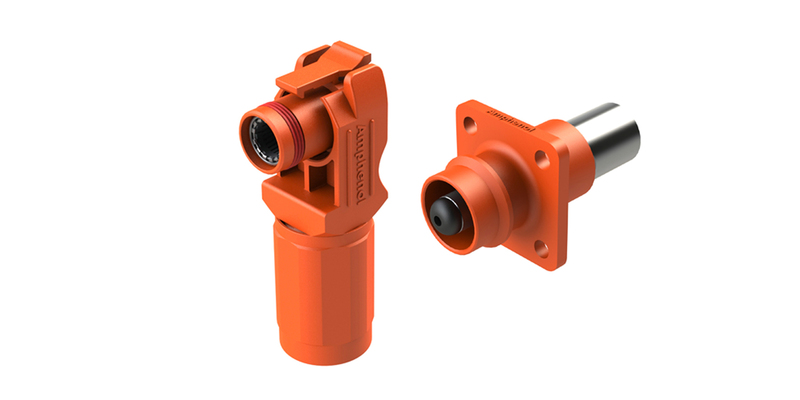 The MagnaMate™ ATHP Mini features four keying options for multi-polarization and precision-machined contacts to accommodate a wide range of wire sizes for current requirements of 20-35A. Current rating of 180 amps for the Standard size.